If you are considering an outdoor wedding, then you may want to consider renting a tent. They are available in a variety of sizes, so one is sure to suit your wedding size. Here are some ideas you may want to consider to upgrade the look of your rented wedding tent. It is easy to make your guests forget that they are in a tent when you drape it with fabric. Draping sheer fabric from the tent’s top and adding lighting can help transform a regular tent into a very romantic space. You can drape them straight across over your reception tables to add extra light where it is needed or let them billow in a spoke-wheel fashion to create a more casual vibe. Draping fabric is also the perfect way to cover open walls helping to control insects during your wedding. The top poles of a tent make a beautiful place to hang plants and flowers. There are many different possibilities, so talk to your florist about your favorite ideas like hanging greens and chandeliers built of flowers. You can also set potted shrubs along the middle aisle creating a beautiful space for the bride and her wedding party to walk down. There are many different ways that you can light a wedding tent. 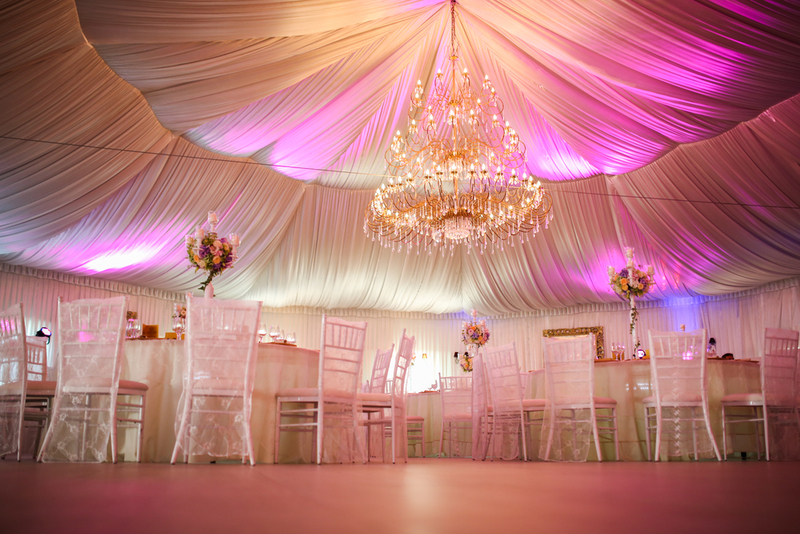 Hanging chandeliers from the tent’s main poles or wrapping them with twinkle lights are just a couple of ideas. Those wishing to use a nautical theme or to create a more rustic setting may want to consider using lanterns. Some opt for candles in them, while others opt for electric-powered lanterns. There are many different ways that you can decorate a rented tent to make it the perfect setting for your wedding or reception. Use these ideas and your own ingenuity to create the setting of your dreams. Arrange your tent rentals in Las Vegas as early as possible.